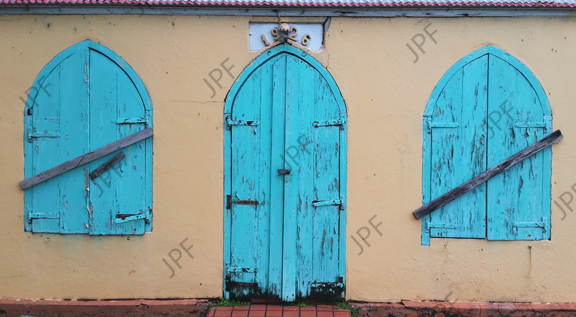 The battened door of a church on Zion Hill Road, Tortola, BVI. (5Mb file). Each catalog image herein is legally protected by U.S. & International copyright laws and may NOT be used for reproduction with out the authorization of the respective copyright holders.